Thirty primary schools and several health centres have been closed in Ketu communities of Ketu Local Council Development Area (LCDA) in Ogun State, following attacks by suspected Fulani herdsmen in the last five months. Also, two persons – Mr. Olabisi Tangu Afolabi and Adegoke Olude – were reportedly killed and seven, including four women, injured in attacks on Ketu villages by suspected herdsmen between last December 10 and January 30. In a statement yesterday in Abeokuta, the capital, by leaders of the community, Mr Michael Abiose and Mr Williams Olayode, the Ketu Advancement Forum (KAF), speaking for indigenes, regretted that Governor Ibikunle Amosun’s administration has failed to protect them. Titled: Do Our Lives Matter to Ogun State Government? over “repeated murder of Ketu people and destruction of their means of livelihood by marauding Fulani herdsmen?” KAF noted that while Ketu residents and the police were working together on the matter, the residents could not remember any step the state government had taken to protect the people and their means of livelihood from the attackers. The forum wondered if their lives mattered to the governor. KAF said it remained resolute that “there is no land for open grazing in Ketu LCDA,” adding that the herdsmen have proved to be deadly and incapable of co-habiting with their host community amid shortage of farmlands, since the government has allegedly taken the chunk of their land for forest reserves. The statement reads: “For us, as Ketu people located in Ogun State by God, the present administration under Governor Amosun, as the Chief Security Officer, has failed us. “We (bear) great frustration and agony in our hearts because neither the governor nor his officials has done anything to rescue us from the renewed siege of Fulani herdsmen, who started (attacks) on our communities in October, 2017. “Without going into the hostilities of over 15 years, all of which the state is well aware of, we like to tell the world that most communities in Ketu Local Council Development Area (LCDA) have come under renewed siege of Fulani herdsmen in the past five months. “Our farmers have been sent away from their farms, over 30 primary schools have been shut down, health facilities closed and economic activities paralysed. “The climax of it started on December 10, last year, when innocent aged women were attacked and macheted in-between Moro and Eegelu villages for their refusal to submit themselves to be raped by heartless herdsmen. “Nine days after, on December 19, last year, the marauding herdsmen were out on their evil mission again, killing Mr. Olabisi Tangu Afolabi and setting his body ablaze at Oosada village. To add sorrow to the Christmas celebrations, they struck again on December 25, last tear, and murdered Mr. Adegoke Olude at Ogunba Ayetoro. 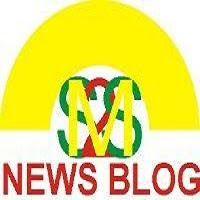 “However, with the active collaboration of our vigilantes, three of the suspected killers, namely Mohammed Bello (40), Muhammed Momoh (30) and Yisau Umoru (18), were arrested and later paraded by Police Commissioner Ahmed Illyasu with an AK-47 rifle, pieces of 0.8mm live ammunition, 26 live cartridges and two sharp cutlasses, all recovered from them. “The world may also wish to note that three days after a stakeholders’ meeting convened by Ketu LCDA on January 25, at the instance of the police commissioner and Ketu Advancement Forum (KAF), which was attended by herdsmen, the herdsmen broke loose again into our farms, hewing down palm and teak trees for their herds to graze on. “Surprisingly, when the residents inspected the damage done to their farms, the herders again opened fire on them and many residents sustained gunshots wounds of varying degree. This incident was well documented at the Police Area Command Office at Ilaro. “While the residents and the police are working together on the matter, there is nowhere that we, the people at the centre of the assault, have come in contact with what the state government is doing to protect us, no matter how little.“And Yoruba elders, in their wisdom, say you cannot shave somebody’s head without his consent and without his knowledge. “Presently, the atmosphere is charged as areas, like Ikotun, Ologiri, Akeru, Ilukan, Ijege and Ajibode have continued to come under the influx of herds. But the state government said it had taken measures to avert clashes between herdsmen and farmers. The government also said it had put measures in place to ensure that lives and property in the state are safer. According to the government, it has met with leaders of various interest groups, including the Fulani, the Hausa and Miyetti Allah Cattle Breeders Association of Nigeria, in Abeokuta. The meeting, it was learnt, was attended by heads of security agencies, such as the Army, the Department of State Services (DSS), the police and the Nigeria Security and Civil Defence Corps (NSCDC). A statement by the Secretary to the State Government (SSG), Taiwo Adeoluwa, said Ogun is one of the most peaceful states in the country, despite being home to diverse tribes, cultures and religions. The government said it was not unaware of the security challenges in the land and that it was doing all within its powers to prevent a breach of the peace. It urged interest groups in the state to always imbibe the spirit of oneness, adding that their businesses can only thrive in an atmosphere of peace. Also, police spokesman Abimbola Oyeyemi, an Assistant Superintendent of Police (ASP), told The Nation that the police hold regular meetings with farmers and indigenous herdsmen to ensure that peace reigns in Ogun State. Oyeyemi said indigenous herdsmen were not giving farmers any headache.